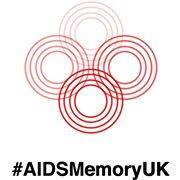 ‘Commemoration, Celebration & Cabaret’ – as part of the Aids History & Culture Festival. We invite you to join LGBTQ Poet Laureate Trudy Howson for a Fabulosa night of poetry, prose, film, & our very own West End Cabaret. This is a fun, fund raising event. Free entrance with a collection during the evening. Phoenix Artists Club WC2H 8BU.